Google really likes the idea that even if users choose iOS as their mobile platform, those users may never actually use Apple apps, because there is a suite of amazing Google apps to choose from. Google has made great versions of Gmail, Maps, YouTube, and Drive (and an okay version of Chrome, but that's more due to the limitations of iOS). And now, Drive for iOS has gotten a nice update with QuickOffice integration and more. Google purchased QuickOffice back in June of last year, and has been slowly working it into Google Drive ever since. 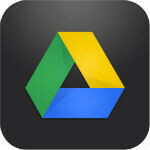 So, with the new version of Google Drive, iOS users will be able to open and save QuickOffice files to Google Drive. The other very nice update allows users to upload multiple photos and videos to Drive, which makes it much easier for iOS users to rely on Google Drive for their cloud storage solution. There are a couple other tweaks to various Drive sections. Docs now has support for the Helvetica Neue font. Sheets gets diagonal scrolling and cell formatting (decimals, currency, date and more). And, Slides was improved slideshows, animations, and added pinch to zoom on slides. If you want to give Google Drive a try, it's available for free in the iTunes App Store.